It’s odd how a recipe can vanish almost completely from the culinary repertoire of one country yet continue to be eaten and enjoyed in another. Sometimes it will even get re-imported as an exotic foreign delicacy. 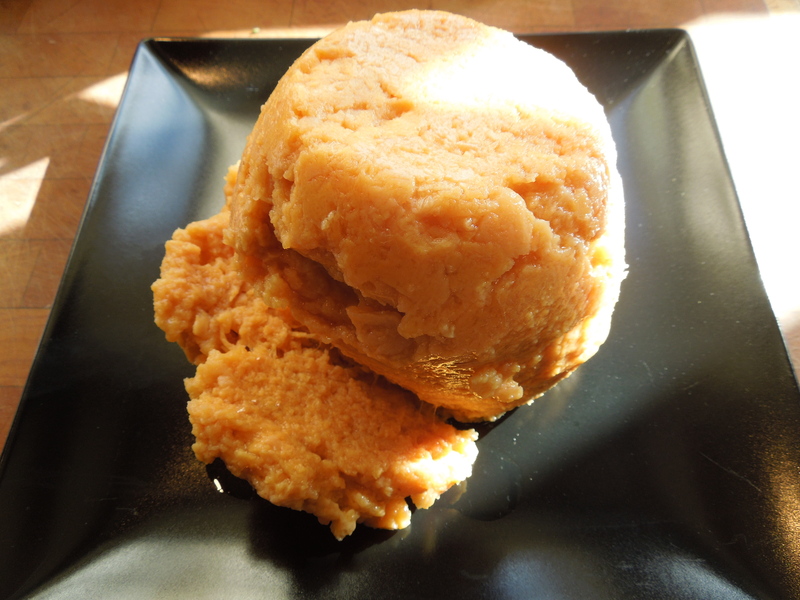 Membrillo, the Spanish version of quince cheese, is the perfect example. Yet fruit pastes and fruit cheeses were sweetmeats every Medieval or Tudor housewife knew how to make as a means of making summer produce last through the winter. They would sometimes dry the fruit paste in specially carved moulds so when it was turned out it would have a pattern imprinted on it. I’d love one of those. I know the food historian Ivan Day carved his own but my woodworking skills are rudimentary at best. I’m investigating the possibilities of getting one made but on the other hand, unglamorous plastic pots store well in the fridge. Although in theory you can keep quince paste, once dried out, wrapped in greaseproof paper I prefer to play it safe and refrigerate it. But I digress. I’m at a loss to know why they fell out of favour in Britain when in other parts of Europe, quince pastes are still widely available. 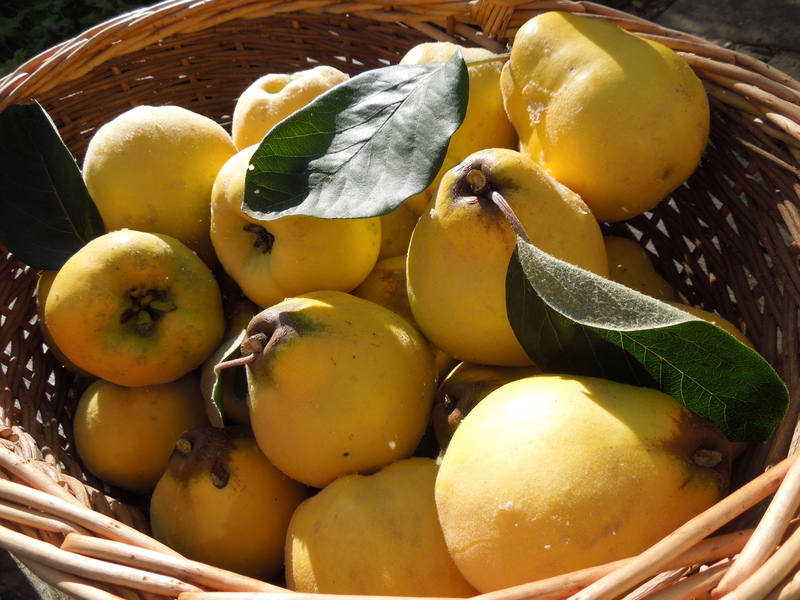 I’ve been surprised, too, at how many English people are unfamiliar with quinces, probably because they have a short shelf life and don’t get sold in the big supermarkets. 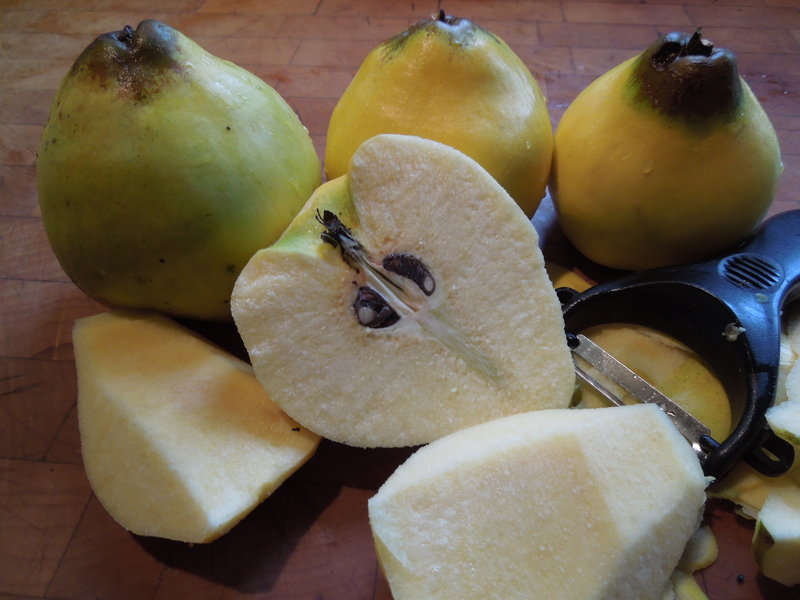 For the record, fresh quinces look like big yellow pears with a downy covering. They smell divine but are nasty eaten raw, as an unwitting friend discovered when he picked one recently – sour, hard and grainy. Cook them, though, and they are transformed. 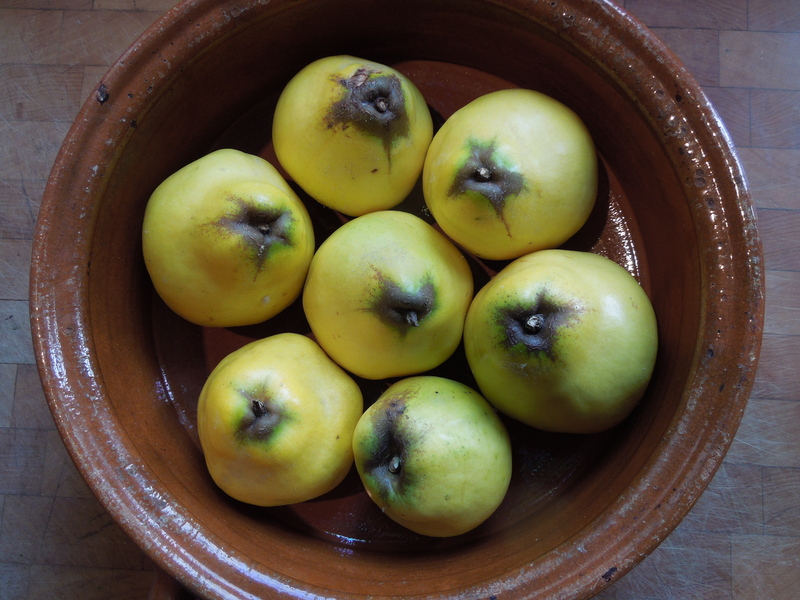 I’ll be giving some recipes in the coming weeks but first, the quince cheese. 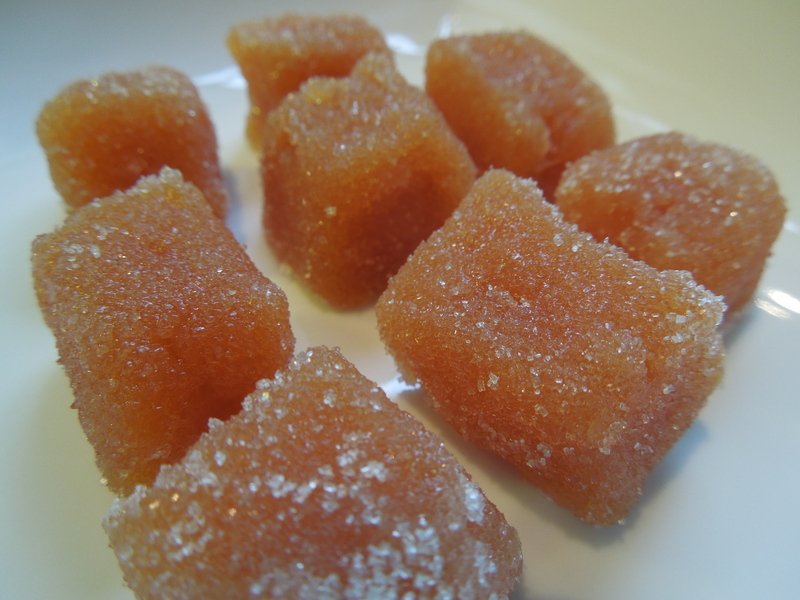 In Spain it’s known as membrillo (codonyat if you’re Catalan); in France, cotignac; in Italy, cotognata. In Portugal it’s marmelada, which rather confusingly is where our name for marmalade comes from. 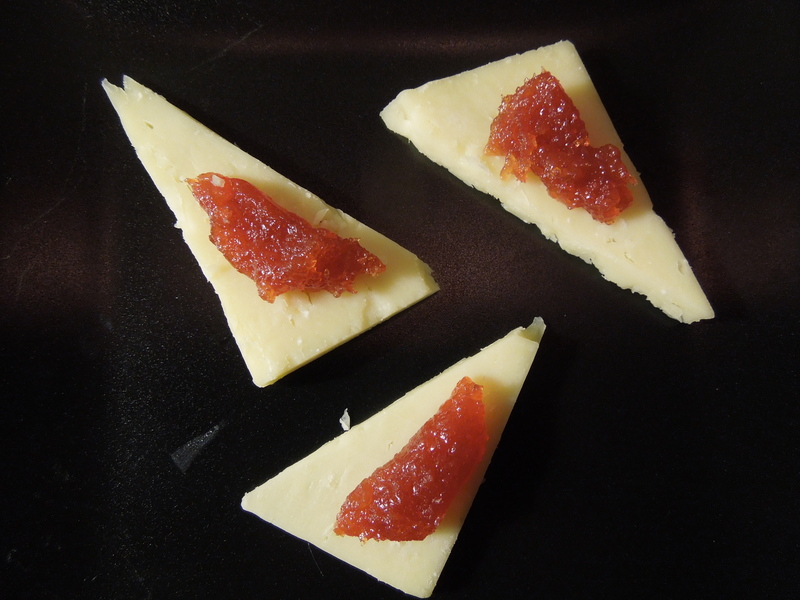 You can use almost any fruit to make a fruit cheese, but quince has to be my favourite. If you see it in the shops, grab yourself some. Or better yet, make your own. Or you can start from scratch with the raw fruit, which gives you a rather more intensely-flavoured result. 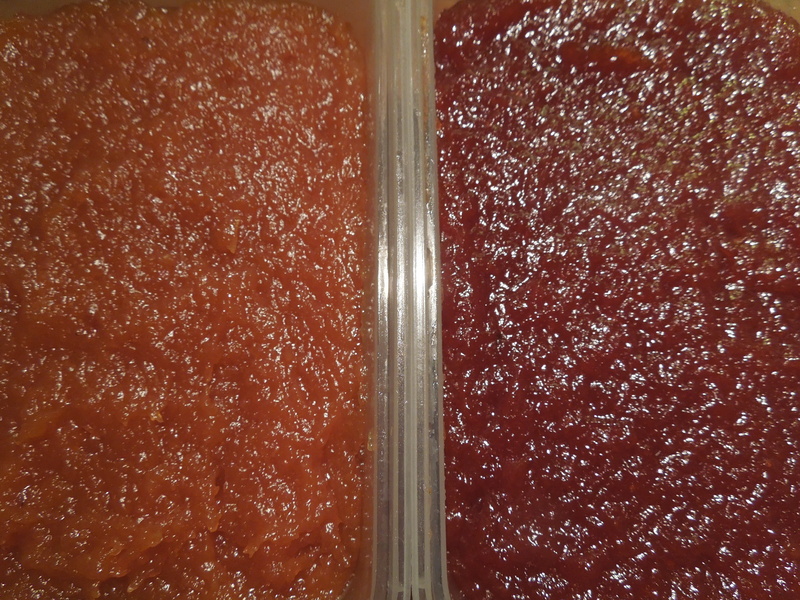 I’m giving all three recipes here, jelly and two membrillo methods. Both membrillos are finished in a low oven – infinitely preferable to stirring them on the stove for hours while they spit lava-hot jam at you. Some spitting is inevitable, however. Use a deep pan and a long spoon. 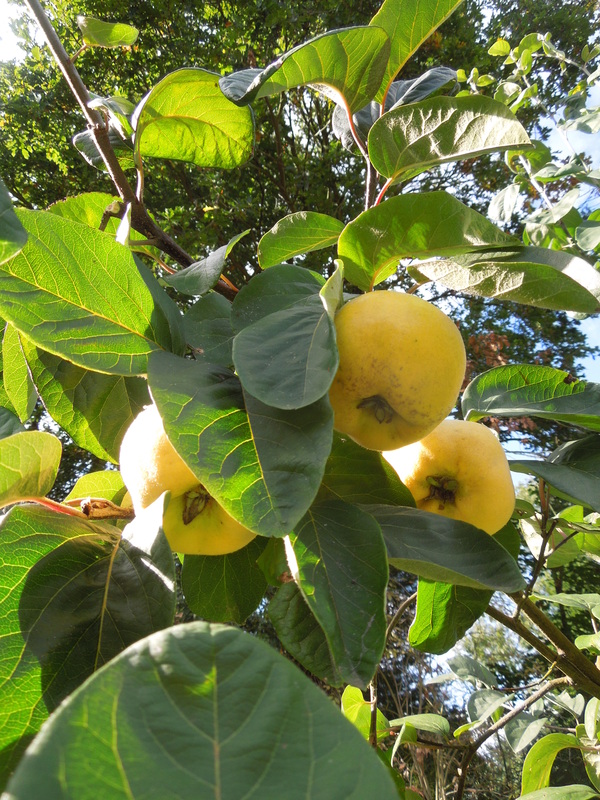 You can bulk out the quince with peeled and cored cooking apples if necessary, but don’t use more than half the weight of apples to quince – so if you have 2 kilos of quince, use a kilo of apple. Peel, quarter and core the quinces and throw them straight into acidulated water (water with the juice of a lemon squeezed in). When they’re all done, take them out of the water briefly and weigh them. Put them in a large preserving pan with 1 pint/568 ml of water to each pound/450g of fruit. 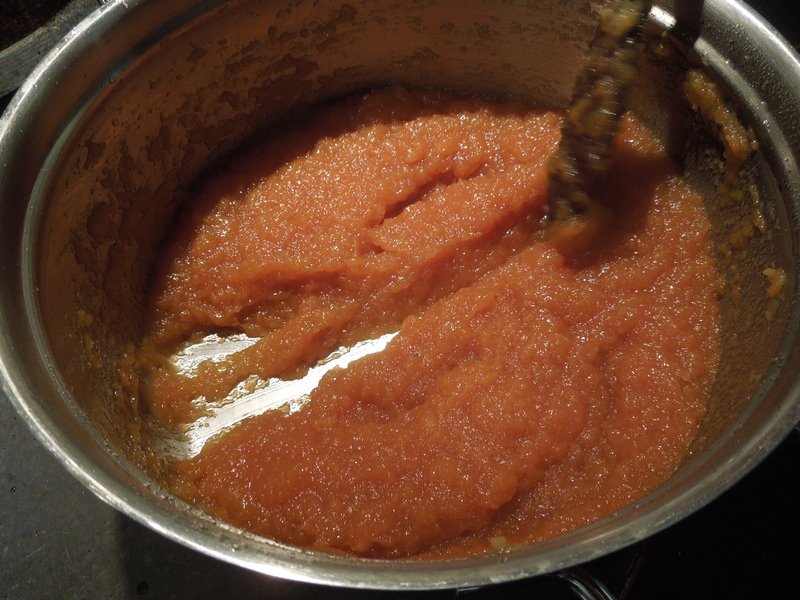 Simmer gently until pulpy and soft, like apple sauce, but don’t let the juice redden – it should be pale. 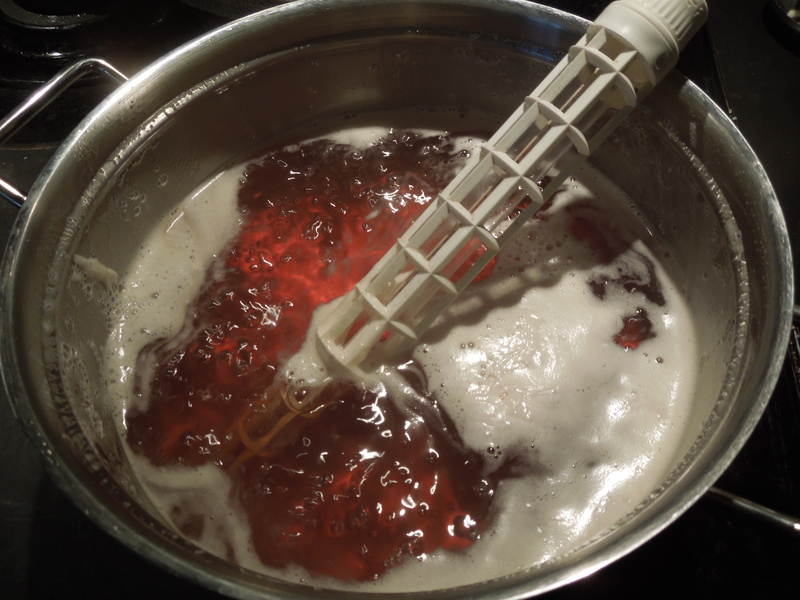 Turn into a scalded jelly bag suspended over a large bowl or jug and allow to drain overnight without pressing the fruit (or you’ll get a cloudy jelly). Set aside the pulp in the jelly bag to make membrillo. Weigh the juice, pour it into the cleaned preserving pan, and boil quickly for 20 minutes. This helps preserve the colour. Take it from the heat and stir in, until completely dissolved, 12 0z/340g of sugar to every 1lb/450g of juice. If the juice is very sour, increase the quantity of sugar to 14oz/400g of sugar to every pound of juice. Cook at a rapid bubble for 10-20 minutes, skimming off any scum that rises, until it reaches setting point: 105C with a jam thermometer or when a spoonful placed on a chilled saucer wrinkles after a few minutes when you push it with your finger. Pot into sterilised jars and seal straight away. This produces a paste a little paler than one cooked with the whole fruit but it still tastes very good and half the work is already done. Preheat the oven to 125F/52C. Lightly oil some small ovenproof dishes (or plastic pots if you plan to use a dehydrator) and set aside. Rectangular or square dishes make it easier to cut in neat slices, round ones look handsomer if you plan to turn it out and serve it all of a piece. Put the pulp and sugar in a large pan, stir well to mix and heat gently until the sugar has dissolved. Continue to cook gently, stirring continuously, until the mixture has thickened to the point where you can see the bottom of the pan when you drag a wooden spoon through it and the quince clings to the spoon. If in any doubt, cook it for a few minutes more but whatever you do, don’t stop stirring. It burns very easily. Now turn it into your pre-oiled dishes to a depth of 2-3 inches, smooth the top and put it in a low oven, 125F/52C, for about eight hours. If your oven doesn’t go this low, prop the door open with a wooden spoon. Or if you have one, use a dehydrator on the same heat setting, putting the dishes on the bottom tray. After eight hours it should be glossy on top and dry to the touch. If not, give it longer – it depends on your oven. Allow to cool, cover and store in the fridge. It makes very good sweetmeats if you roll it in a little sugar. This is largely based on a 17th century recipe from Hilary Spurling’s wonderful Elinor Fettiplace’s Receipt Book. If you’re interested in the history of English cooking, get your hands on a copy. Preheat the oven to 250F/130C,Gas Mark 1/2. 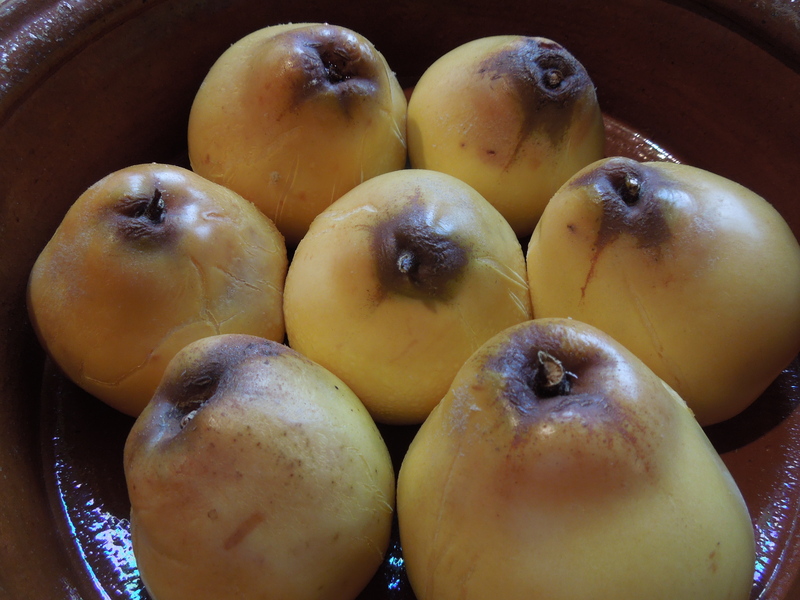 Stand the quinces upright in a baking dish and cook in the oven until they’re soft but not collapsing – it depends on how big they are but mine took about an hour. This makes them much easier to peel and core. Once they’re soft, peel them and core them, discarding any bruised or discoloured parts and put them through a mouli. Weigh the pulp and put it, with an equal quantity of white granulated sugar, in a large pan. Stir well, cook gently until the sugar has dissolved and cook as for the previous membrillo recipe, above. This is more liquid than the previous recipe, so expect it to spit at you right up until you get to the dragging-a-spoon-through-it-to-get-a-clean-bottom stage. That will take some considerable time – maybe several hours – but it’s worth it for the lovely jewel-coloured paste you get in the end. 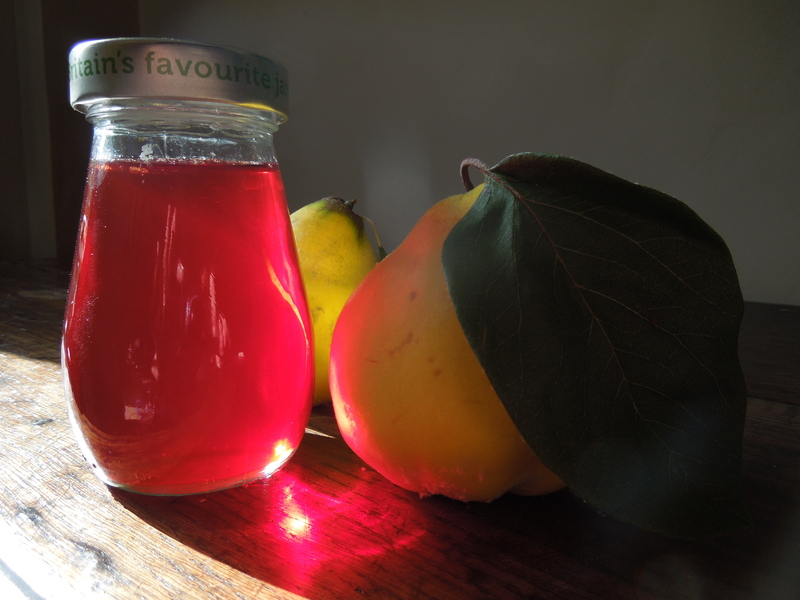 This entry was posted in In the garden, Jams and jellies, pickles and preserves, Vegetarian and tagged membrillo, quince jelly, quince paste by Linda Duffin. Bookmark the permalink. Apple cheese is supposed to be good, though I haven’t tried it so far. 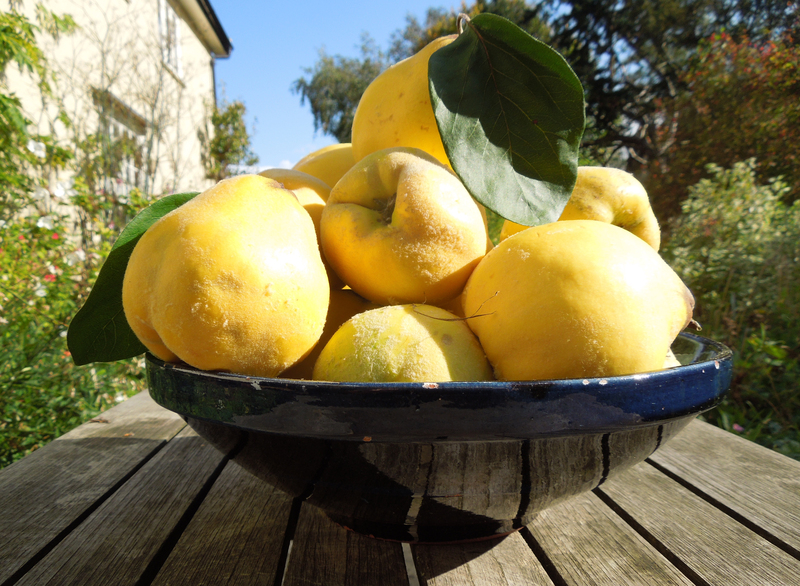 Will save you some of next year’s quince harvest if you can wait that long! 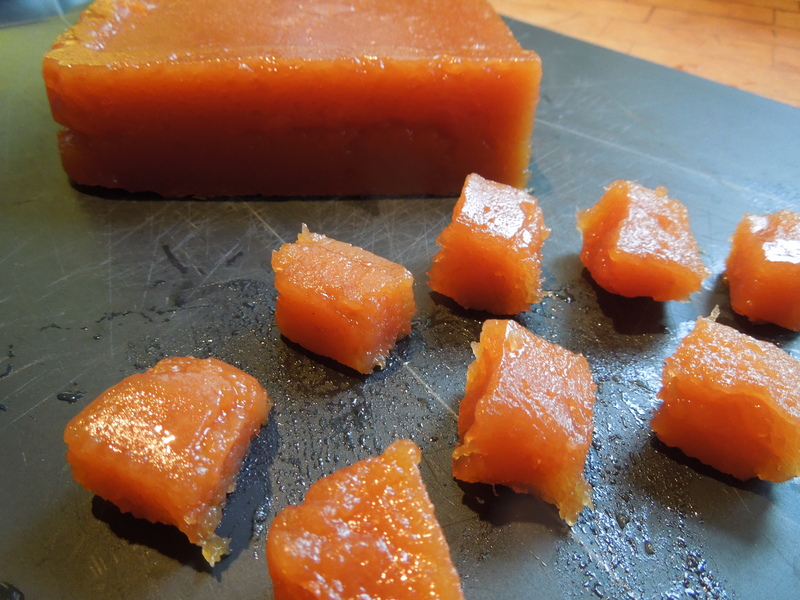 Nice post – I have just made jelly and membrillo, using the pulp left over from the jelly making. I have also linked to your post. Thank you! Hi Candy, thanks for the follow and the link. Your jelly and membrillo look fab!